It is often said, only partly in jest, that Israelis examine every event of world significance through the prism of "will this be good or bad for us?" Well, they hardly need the doom-laden headlines in the Israeli press to tell them the continuing crisis on the streets of Cairo is as bad as it gets. In short, when Clinton – joined by Obama and David Cameron - calls on Mubarak to allow an "orderly transition" to democracy, it only sets alarm bills ringing in Israel. You can read the whole of Philip Jacobson’s First Post piece on why the ‘democrats’ of Israel are not so keen on Egypt becoming more ‘democratic’, here. Israel called on the United States and a number of European countries over the weekend to curb their criticism of President Hosni Mubarak to preserve stability in the region. Jerusalem seeks to convince its allies that it is in the West's interest to maintain the stability of the Egyptian regime. Senior Israeli officials…. said that on Saturday night the Foreign Ministry issued a directive to around a dozen key embassies in the United States, Canada, China, Russia and several European countries. The ambassadors were told to stress to their host countries the importance of Egypt's stability. In a special cable, they were told to get this word out as soon as possible. Ah, ‘stability’. I don’t recall Israel- and its neo-con/faux-left cheerleaders in the west being too keen to maintain the ‘stability’ of Saddam Hussein’s dictatorship in Iraq do you? Nor are they too keen to maintain the ’stability’ of the current Iranian regime. The Israel-firsters want ‘stability‘ when it suits them, but when the regime in question isn‘t doing their bidding, they do all they can to destabilise it. UPDATE: Quote of the Day from the staunchly Zionist US Vice-President Joe Biden on Hosni Mubarak. "I would not refer to him as a dictator." writes our friend Olching in the comments section to our last post. Tony Blair, that other great neoconservative crusader for freedom and democracy in the Middle East, visited Egypt with his family on holiday on several occasions, had countless meetings with Mubarak, but never chastised him in the manner that he now chastises, say, the Iranians. 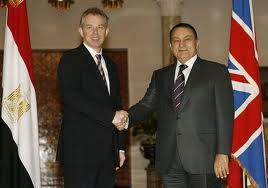 Shamefully, Blair, while in office as prime minister of the United Kingdom, allowed Mubarak to pay for his family's luxury holiday at the Red Sea resort of Sham-el-Sheikh in December 2001. Was he worried, I wonder, about the freedom and human rights of political prisoners languishing in Egyptian prisons while he sunned himself in his holiday villa, as a guest of Mubarak's dictatorship? The faux-left love to label the genuine left as ‘apologists for dictators’ ’Stalinists’ ‘or tyrannophiles’. But when it comes to apologising for tyrants no one is more guilty than neocons and the faux-left. PS The odds on any other faux-leftist/ neocon writing a piece condemning Tony Blair for his association with the brutal dictator Hosni Mubarak: 1,000,000-1. So President Obama calls on the Egyptian government AND anti-government protestors not to use violence. Do you recall the US or its allies calling on Iranian anti-government demonstrators not to use violence back in 2009? No, neither do I. And do you recall the US President urging anti-government demonstrators not to use violence after the elections in Belarus in December? No, me neither. Seven people have already been killed in the current protests in Egypt. Will the US and its EU allies be imposing sanctions on Egypt for its brutal clampdown on dissent- as they’ve done on Iran and Belarus? And will neocon websites be posting pictures of those killed by the police- as they did with Neda Agha-Soltan after the Iranian protests? Will any of those killed this week become a ‘symbol of rebellion’ in the western media and blogosphere? 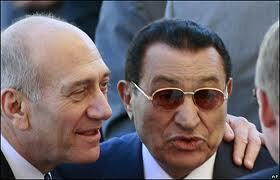 PS The picture above (of Egyptian dictator Hosni Mubarak with his mate, the former Israeli leader Ehud Olmert) will help explain why the neo-con websites/journalists/magazines/newspapers which have spent so much time attacking Iran's clampdown on dissent, won't be spending anywhere near as much time attacking the far more dictatorial Egyptian regime. Why was MI6 involved in trying to smash Hamas? MI6 is supposed to protect the British state and spy on and counter Britain’s enemies. But has Hamas ever threatened Britain, or is it ever likely to? Have we really got to the stage where Israel’s enemies automatically become ours? If Mossad, or the Palestine Authority‘s secret agents, or the CIA want to engage in anti-Hamas activity, it’s their concern. But not ours. So what on earth was MI6 doing drawing up 'secret plans for a wideranging clampdown on Hamas’, as revealed by the Guardian. And guess how this all began? Alistair Crooke, a former MI6 officer who also worked for the EU in Israel and the Palestinian territories, said the British documents reflected a 2003 decision by Tony Blair to tie UK and EU security policy in the West Bank and Gaza to a US-led "counter-insurgency surge" against Hamas – which backfired when the Islamists won the Palestinian elections in 2006. As we also now know, British intelligence and government officials have been at the heart of the western effort to turn the PA into an Iraqi-style counter-insurgency operation against Hamas and other groups that continue to maintain the option of armed resistance to occupation. Shielded from political accountability at home, how exactly does British covert support for detention without trial of Palestinians by other Palestinians promote the cause of peace and security in the Middle East, or anywhere else? Yet another question for Middle East 'Peace Envoy' Mr Tony Blair, who, not content with all the bloodshed he has caused, is now doing all he can to propagandise for a war with Iran. So don’t believe what you are being told. This is not about reducing bureaucracy or tackling the deficit. This Bill represents a paradigm shift in the way that health care is delivered in this country. It is born from ideology, not necessity. Managers will not be reduced – rather, they will be employed by private companies that lease out their services. The proposed reforms signal an end to the NHS as we know it. It will not be reformed, it will be murdered. What Lansley’s Bill achieves is the atomising of the NHS. 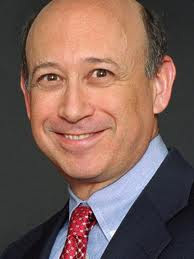 It will be spliced and diced into bite-sized portions to be thrown down the gullet of the corporate sector. You can read the whole of Max Pemberton’s Daily Telegraph article on why the government’s Health Bill, if passed, means the end of the NHS, here. The government has no electoral mandate to destroy the NHS and we cannot allow their 'reforms' to pass into law. If you feel strongly about saving the NHS, make sure you sign the NHS Support Federation’s national online petition. And write to your MP to ask them to vote against the government’s bill when it has its second reading next Monday. Let's defeat the neoliberal fanatics, who want to unleash 'market forces' into every aspect of our lives. We don’t know for sure who planned this outrage- but we do know one thing: that they are totally depraved. The only thing the Tories and their millionaire friends are trying to ‘conserve’ is their wealth says Neil Clark. 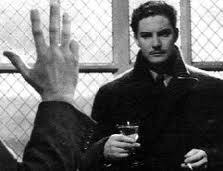 In the classic 1935 Hitchcock film The Thirty-Nine Steps there is a memorable scene when the hero Richard Hannay tells a man who he thinks is an ally that the evil criminal he is after has part of a finger missing. To Hannay's horror the man raises his hand and says: "Are you sure it's not this finger, Mr Hannay?" In the same way that Hannay mistakenly took an enemy to be his ally, so too did the millions of Britons who voted Conservative in last year's national and local elections. Up and down the country, people trooped off to put an X next to the name of the Conservative candidate in the belief that the party was on their side. Sick of new Labour, many genuinely believed the PR spiel that Dave's Conservatives were no longer the "nasty party" and that they really cared about communities and "hard-working families." They believed that Cameron, far from being a hard-core Thatcherite, was actually a nice, moderate "one-nation" Tory in the Harold Macmillan mould. Now, though, they are waking up to a brutal truth - that as bad as the Labour government was, the Tories and their Lib Dem coalition allies are actually 10 times worse. Up and down the country, uber-Thatcherite Tories are launching an assault on many of the things that traditional Conservative voters hold dear. Royal Mail, in state hands since 1516, is to be privatised. The NHS faces the biggest upheaval in its history, one which will pave the way for the takeover of hospitals and doctors' surgeries by multinational corporations. Hundreds of public libraries face closure. Our publicly owned forests, including historic ones like Sherwood Forest, are to be sold. The official name of Cameron's party is the "Conservative Party." But it should really be called the "Destructive Party." The only thing Cameron and his multimillionaire chums want to "conserve" is their wealth and the rule of international finance capital. Everything else can be destroyed. This piece on mine, on one of my great political heroes, Bruno Kreisky (above), appears over on the Guardian's Comment is Free website. Neil Clark: The great socialist leader Bruno Kreisky would be dismayed by the European left's meek acceptance of the rule of money power. The 1970s, as I have argued before on this site, marked the high point of postwar socialism in western Europe. Across the continent in those pre-Thatcherite days, genuinely progressive statesmen set the agenda. In West Germany, there was Willy Brandt. In Sweden, Olof Palme. In Britain, Harold Wilson. 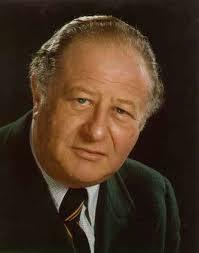 But, for my money the greatest European socialist of them all was Austria's Bruno Kreisky, born exactly 100 years ago this weekend. Kreisky led his country for 13 years, from 1970-83, winning a clear majority for the Socialist party of Austria a remarkable three times. During his time in office as the first popularly elected "red" chancellor, he transformed Austria into one of the most egalitarian societies on earth. I think it should reignite a lot more than ‘controversy over City pay and bonuses‘. It should reignite a debate about the very nature of the neoliberal economic system we live under. Dr Richard Vautrey, deputy chairman of the British Medical Association's GPs Committee, as quoted in the Daily Mail. So there we have it. The NHS is to be destroyed and big business is to take over. That’s the aim of our ’moderate’ Coalition government. It’s good to see that more and more people are waking up to the fact that David Cameron, far from being a Macmillanite ‘One Nation’ Tory, is in fact a dangerous neoliberal extremist. Some of us said as much as soon as he was elected as Tory leader. Why did we never know how rotten Tunisia was? This article of mine appears in today's First Post. Be honest. Prior to last week's dramatic events, had you ever heard of President Ben Ali of Tunisia - or that he had ruled the country as a corrupt dictator for 23 years? Tunisia stands at number 143 out of 179 countries when it comes to freedom of the press. It's a place, where, according to a 2008 Amnesty International report, human rights abuses by its security forces "continue unabated and are committed with impunity". Yet if you've been living in the west, and getting your news from the mainstream media, you'll have been cheerfully oblivious to all the nasty, undemocratic things that were going on in the northernmost country in Africa, a country that many of us have visited for beach holidays in Hammamet and Jerba. It's Boxing Day again. Or at least it must be, because the King George and the Christmas Hurdle are being run at Kempton today. Anyway, good luck to Kauto Star in his attempt to win the KG for a record five years running. These really are very bad days for the neocons and their liberal interventionist allies. The Iraq war is totally discredited (Iraqi WMDs anyone?) . Tony Blair, their great idol, has been called to appear before the Chilcot Inquiry for a second time. Iran is refusing to kowtow to the neo-con induced international bullying, with the western public failing to buy the ludicrous line that the Islamic Republic- with its non-existent nuclear weapons- poses a threat to us all. And a war that the neocons and liberal interventionists thought they had successfully got labelled for posterity as a ‘good war’ is coming under increasing scrutiny. As I’ve said before, the more the Iraq war is discredited, the more it is important for the neo-cons and liberal interventionists to push the line that the attack on Yugoslavia in 1999 was a ‘humanitarian’ good guys v bad guys intervention. But as this BBC report shows, that is proving increasingly difficult, in the light of recent revelations. The offensive against Serbia in 1999 was presented by western leaders as a humanitarian act to prevent widespread ethnic cleansing of Kosovo's Albanian population by Slobodan Milosevic's forces. This was widely accepted by western commentators at the time and since then reporting of the conflict in western media has been largely been framed as a story of Albanian victims and Serb aggressors. But some of the recent commentary (you can read examples here and here) has challenged this account and questioned whether the intervention and support for independence were misguided. As long-standing readers will know, I’ve been a consistent opponent of the 1999 NATO aggression against Federal Yugoslavia- and it’s pleasing that after all this time, the line I took- that the intervention was far from humanitarian- has, despite all the neo-con propaganda, now become widely accepted. The game’s up for the serial warmongers- and all that is left for us to do now is to make sure they answer for the lies they told and their crimes against peace. This report of mine from Belarus, the European country that the neocons and the faux-left love to hate, appears in the new edition of the New Statesman. The article is not available online yet, but here’s the first few paragraphs. You can order a copy of this week's New Statesman (or take out a subscription to the magazine) here. UPDATE: You can now read the whole of the article, below, or at the New Statesman website. 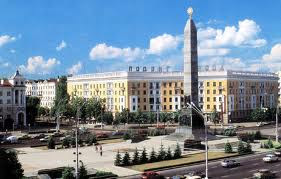 Belarus- Europe's 'last dictatorship'- is still unspoilt by capitalism, Neil Clark reports. After last month’s presidential elections, in which Alexander Lukashenko was re-elected to serve a fourth term with almost 80% of the vote- the arrest of opposition candidates and hundreds of their supporters led to the reappearance of the old ‘last dictatorship in Europe’ headlines. But shocking as the scenes of police beating protestors were, it’s a mistake to equate Belarus with Burma, or Lukashenko with Joseph Stalin. Lukashenko’s rule is unquestionably authoritarian, as he has conceded, but his policies, which combine aspects of the old communist system – social security and full employment- with a mixed economy and greater personal freedoms than existed under the old Soviet Union, have proved genuinely popular with the majority of ordinary Belarusians, as his election results testify. While other former Soviet Republics rushed to embrace capitalism following the fall of the Berlin Wall, privatising their state-owned enterprises and removing subsidies to industry and agriculture, Belarus kept the old collectivist flame alive. My guide book describes it as a country “so unspoilt by the trappings of western materialism that it’s very easy to feel a sense of having slipped into another time and dimension”. Yet even here – a country where roughly 80 per cent of the economy is nationalised and statues of Lenin still adorn the streets – times are changing. Pressure from the IMF and Russia, and a desire to court the European Union among other reasons have led Belarus to embark on a major privatisation programme of its own, with around 90 per cent of state-owned enterprises earmarked for sale. Does the move mark the de facto end of Europe’s last socialist planned economy? It's exactly ten years ago this month since the sad death of the great anti-war journalist and writer Auberon Waugh, an 'Old Right' hero of the 'Old Left'. Here's my tribute to Waugh from the anti-war (but not anti-Waugh) magazine The American Conservative. Thank you for your letter. Would it give you comfort if I suggest you call yourself the Official Auberon Waugh Appreciation Society rather than the Unofficial Auberon Waugh Appreciation Society? I know of no rivals. 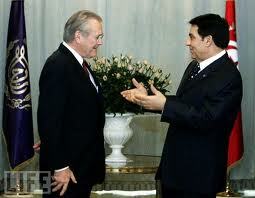 Of course I am trying to get Blair indicted for war crimes. It will take a bit of time and I fear I have rather squabbled with the Crown Prosecution Service over the years, but we must always hope for the best. Auberon Waugh, Combe Florey, Somerset. A copy of the fax that my friend Stuart Carr and I received from the late Auberon Waugh on June 6, 1999 is among my most treasured possessions. As two antiwar paleo-leftists living in Budapest, we had been appalled at Britain’s leading role in the bombing of neighboring Yugoslavia. Reading the British papers at that time was depressing—they were full of NATO propaganda about alleged Serbian atrocities; how Slobodan Milosevic, the Yugoslav President, was the new Hitler; and why the war on one of Europe’s most Anglophile nations was such a good thing. But one voice stood out against the legion of bloodthirsty laptop bombadiers. It belonged not to a leftist but to a man described as the most reactionary conservative of his age. Sadly, Waugh did not succeed in his attempt to have the “twerpish” Blair arrested. Just 18 months after he penned his article, Bron was dead at the age of 61. No one else took up the task of trying to hold Blair to account, with the result that four years later the British Prime Minister did it all again—as Waugh had predicted—this time in Iraq, with even more bloody consequences than in Yugoslavia. How sad to hear yesterday the news of the death of that great actor Pete Postlethwaite. My favourite role of Pete's was his portrayal of the passionate brass band conductor Danny in the 1996 film 'Brassed Off'. Above you can hear Danny's wonderful speech at the end of the film- one of the most powerful attacks on the inhumanity of Thatcherism and neoliberalism you'll ever hear. A very happy, healthy - and peaceful- 2011 to all readers. PS If you're a rail commuter, Britain's wonderful privatised railway companies have a nice little New Year present for you. Aren't they lovely and kind?